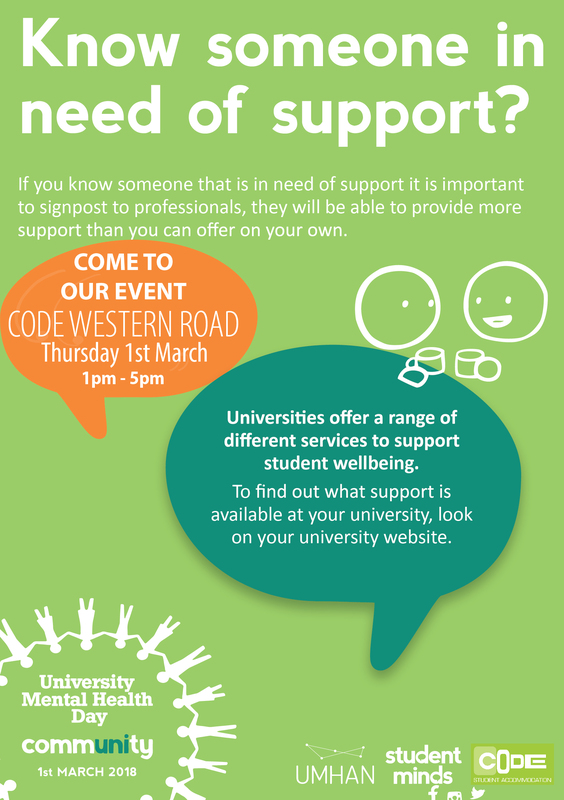 Preparations are underway for the CODE Mental Health & Wellbeing Event to fully support the University Mental Health Day on the 1st March in collaboration with Students Minds the UK’s student mental health charity dedicated to develop new and innovative ways to improve the mental health of students. With these important challenges to meet CODE have organised a positive collaborative event to enable students to participate in a range of activities and experiences to ensure staff and students are aware of the support networks available whilst at the same time enjoy complimentary free food and nutritious drinks. On the day there will be a range of activities including a Mini Farm, Fun Inflatables, an assortment of entertaining DMU Societies to key Health & Wellbeing professionals and a range of resources on offer from Self-Help guides to signposting for more individual counselling.